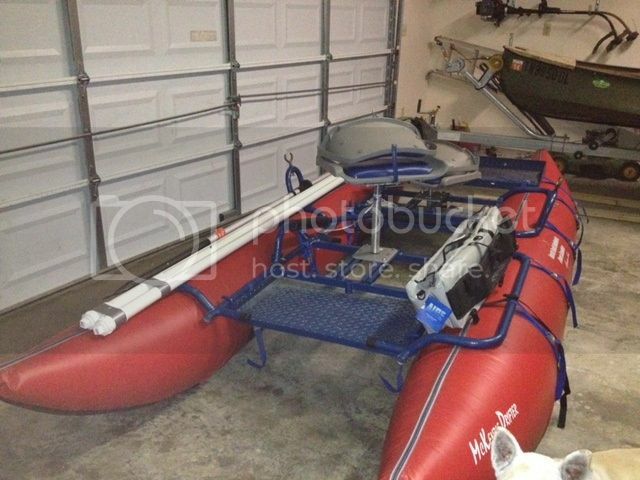 I have a North Fork Outfitters - McKenzie Drifter pontoon raft for sale. The raft can be converted from a two man to a one man raft utilizing a second u-shape pontoon. So, either set-up - one man or two man - has a fishing platform so you can stand to fish. Either set-up can also utilize a trolling motor. I am asking $1,400. If you are interested, please send me an e-mail at dwinningham@ccbwt.com, and I will provide pictures and other information. I don't live just to fish, but I want to fish just as long as I live. 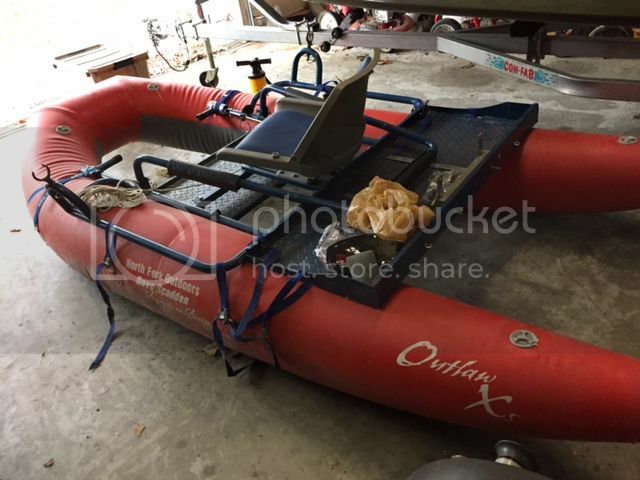 Yes this post is old but am wondering if you still have the raft for sale?